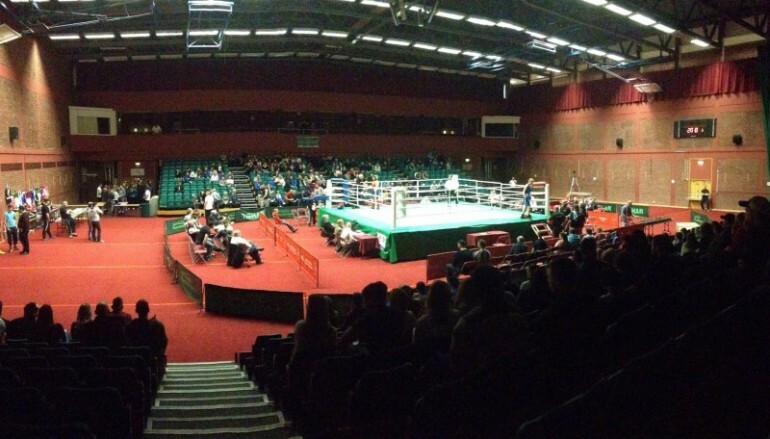 The Welsh Elite Championships concluded last night at the Welsh Institute of Sport in Sophia Gardens, Cardiff with the last nine of the competition’s 68 bouts. In the one and only female contest in the whole of the competition, Chepstow’s Rosie Eccles needed less than two minutes to force the referee to stop her light-welterweight (64KG) contest against Silurian’s Natasha Williams. The Army’s Kyle Morrison got the men’s bouts underway with the fight of the night, overcoming Britton Ferry’s Joshua John via Unanimous Decision. The bantamweights (56KG) met each other head on in the opener, which led to frantically fast exchanges. Morrison, a naturally aggressive front foot fighter, soon established his strength in the second round, forcing John to squeeze up his defence to survive the onslaught. Morrison had clearly pulled away by the end of the contest, sinking in hard body shots that sapped John of almost all of his energy. John, usually seen ducking and rising with crisp counters, was more static than usual and it was testament to the pace Morrison set from the first bell to the last one. Nico Morrison of Pembroke gave his family another reason to celebrate by finally achieving his dream of winning the Welsh Elite Championships, scoring a Unanimous Decision over Dyffryn’s Billie Edwards in the lightweight (60KG) division. Both naturally cautious boxers began by feinting; looking to counter but it was Morrison who took the initiative. The four-time finalist, who was beaten in his three previous attempts, pressed the action but retained is range, controlling the distance and wisely picking his moments to exchange. Edwards, in his first senior Championships, did have his own success, catching Morrison on the approach as he attempted to dart in and out but it was Morrison’s experience that aided him to overcome the elusive Edwards. 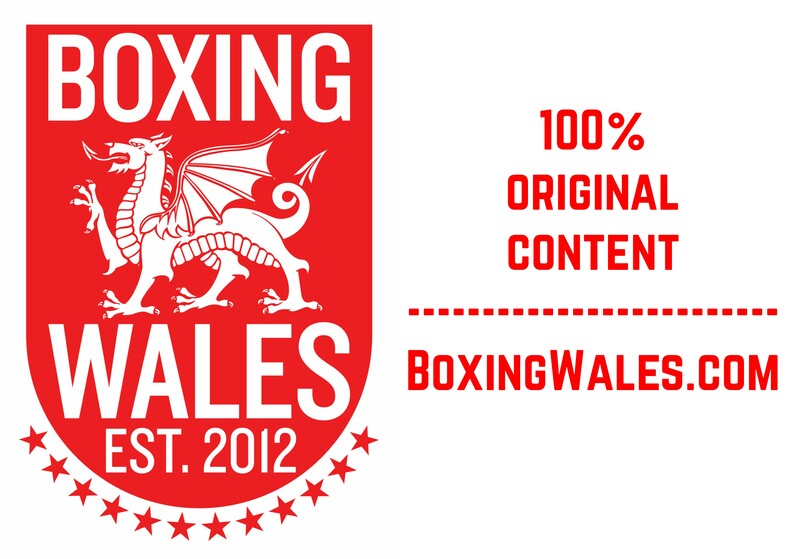 Trelewis’ light-welterweight (64KG) Gavin Gwynne continued his rapid rise through Welsh boxing with a Split Decision victory over Colcot’s Maredudd Thomas. The six-foot fighter suffered a cut over his left eye in the semi-finals and it opened up early in the final. Undeterred, Gwynne ploughed forward and pushed his opponent to the edges of the ring, where Thomas would briefly trade before attempting to quickly move away along the ropes. Thomas continued to circle the apron in the second round and occasionally caught Gwynne as he overreached, too eager to close down the distance. However, Gwynne regained momentum in the final round, almost running after Thomas at one point – although, he survived three inspections of his cut from the doctor. The pressure of Pontypool’s welterweight (69KG) Kieran Gething proved to be too much for Gwent’s skilful Sonny Lee as he scored a deserved Unanimous Decision win. The first round was frantic as Lee traded in an attempt to match Gething’s work rate but it took more out of the southpaw than it did Gething, who has displayed his willingness for war throughout the competition. 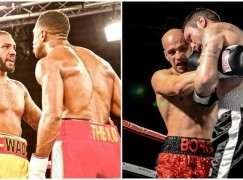 Gething, who was cornered by former Welsh Area light-heavyweight champion Jeff Evans, was more comfortable with the pace and he took advantage when Lee was cornered, paying particular attention to the body. It was working and Lee was forced to the well, attempting to slow down the attacks by tying Gething’s arms up – a tactic that led to two points deductions. Lee, in his first senior year, was visibly tired but he dug deep and finished the fight swinging, bravely surviving a Standing Count to hear the final bell. In his first year as a senior, Splott’s southpaw Jamie Evans collected the middleweight (75KG) red vest with a Unanimous Decision over Tiger Bay’s Steven Burnett. As all of Evans’ fights have been in the Championships, it was a slow paced but highly technical affair with both boxers feinting and attempting to trigger the other’s lead. 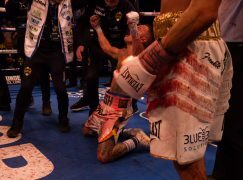 Burnett showed a different side to his skill set but it wasn’t enough to upset Evans, who was fleeter of foot and stayed a step ahead. Evans has never lost in the Welsh Championships at any age category and he’s now won ten titles on the trot through schoolboy, youth and senior level. Prizefighter’s light-heavyweight (81KG) Calum Evans saw off Pantside’s Nethan Nichols to claim his first senior title in one of the most competitive fights of the finals. 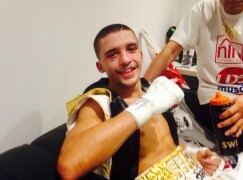 Evans, nephew of Welsh boxing legend Kevin Evans, and Nichols, who is trained by former world champion Gavin Rees, began tentatively as they tested the range with prodding jabs but it soon warmed up. Both boxers were wise to the other’s first phase of attack but when it was followed up, it led to thudding exchanges for the full fight. Evans was crafty enough to either fall in to smother Nichols or dip low and evade a reply that, coupled strong finished to the second and third, was enough to make the difference. In a repeat of last year’s heavyweight (91KG) final, Lions Den’s Kody Davies won his second senior title with a two round victory over Pontypool’s David Walker. Walker flew out of the traps and forced Davies backwards but it was a position the reigning champion was comfortable in, countering and turning the challenger when he was cornered. In the next round, Davies was able to settle down, setting his feet and planting body shots before rolling away and retreating back to the centre of the ring. Walker’s eagerness led to an accidental head clash and a nasty gash over his left eye. The doctor then deemed the injury, which was bleeding heavily, sufficient to end the contest. Heads of the Valley’s Darren Hughes proved he’s the best of the big men in Wales with a Split Decision victory over Premier’s Liam Whitehouse in the super-heavyweight (91+KG) category. They were hardly a metre apart in the first round as the shorter Hughes pinned himself to Whitehouse’s chest to land with either short hooks or looping overhands. It was a pattern that Hughes was keen to proceed with, and he did so in his bullish fashion. However, as the fight progressed, the bout evened and Hughes’ strong momentum weakened, interrupted mainly by Whitehouse’s straight shots and two warnings from the referee for the position of his head up close. Less than 24 hours after the bout, Hughes was playing rugby for Cross Keys RFC, playing a full 80 minutes and scoring in their 20-13 local derby victory against Newport RFC at Rodney Parade.